The Samsung 26.9inch QLED Gaming Curved Monitor has a 2560 x 1440 screen resolution, 1ms response time, and up to 144Hz refresh rate for vibrant and detailed visuals. Specially built for intense gaming action, the Samsung 26.9" QLED Gaming Curved Monitor lets you play and enjoy your favourite video games while also complementing your PC or console gaming setup’s theme through its sleek design.This Samsung monitor has Screen Size Optimizer, Refresh Rate Optimizer, and Game Color Mode functions to quickly match your requirements. 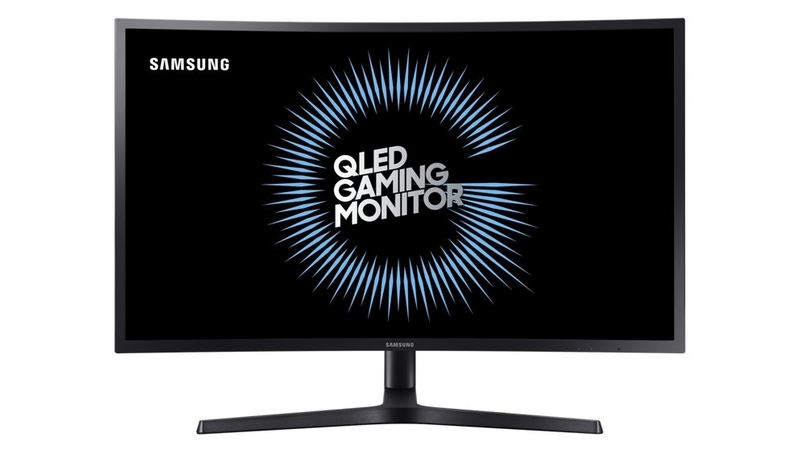 The Samsung LC27HG70QQEXXY 26.9inch LED Monitor was added to the Monitors category in January 2018. The lowest price GetPrice has found for the Samsung LC27HG70QQEXXY 26.9inch LED Monitor in Australia is $599.00 from Scorptec Computers. Other merchants who stock it are Scorptec Computers, Best Deal 4 U Computers & I.T., Wireless 1.